The 2015 NY2LA Sports Spring Extravaganza came to a close on Sunday in Minneapolis. 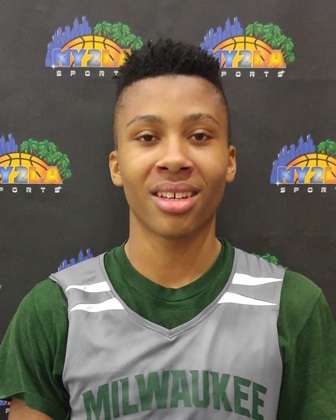 As trophies were handed out following Championship Sunday, Te’Jon Lucas and the Milwaukee Spartans captured the top 17U title while Jared Ridder and Mo-Kan Elite won a thrilling game versus the Iowa Barnstormers to take home 16U title honors. Anderson had a game-high 22 points in a quarterfinal win over Kingdom Hoops. The junior lead guard had a strong weekend, showing the ability to run the show offensively and rebound from his position. Anderson gave programs growing confidence in his ability to run a team, transforming into an all-around floor general. Hauser started the day with 21 points in a quarterfinal victory over Kingdom Hoops. The 6-foot-6 wing found things tougher as the tournament wore on, but had an outstanding tournament overall. Hauser made things look so easy with his ability to catch and shoot and score off the bounce. With outstanding body control, there’s no shot too difficult for Hauser. Lane continued to his outstanding tournament on Sunday. He scored all 13 of his points in the first half in a win over Team Kansas City in the quarterfinals. In the finals against Spiece Mo-Kan, Lane was also in double figures. A strong guard with solid handles, Lane does an excellent job of shielding off defenders on his way to the hole. He also shot the ball very well from mid-range throughout Sunday. 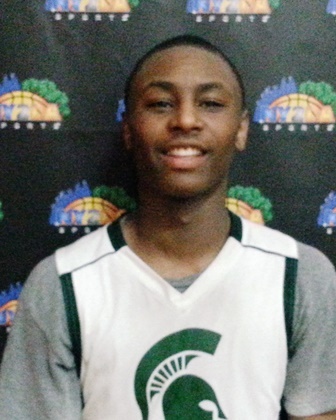 Lucas had a strong Sunday to help lead the Spartans to the 17U title. The speedy, elusive guard was terrific off the bounce and in transition, making a number of game-changing plays on the fly. Lucas is also working on his outside game and showed the ability to make defenders pay when they choose to keep him out of the lane. Larson led Howard Pulley to the 15U title game with some hot shooting and distributing. The quick, elusive ball handler went for 15 points and a handful of assists in a win over the Iowa Barnstormers. Larson is a very dependable shooter from beyond the arc and shoots a high percentage from distance. Oliver played very well for Quad City Elite in their semifinal loss to Wisconsin Academy. The athletic wing had a team-high 13 points and was also outstanding defensively on the perimeter. Oliver was aggressive throughout and was largely responsible for his team’s seven-point lead at halftime, scoring 11 in the opening period. Ridder was outstanding in the 16U title game victory over the Iowa Barnstormers. The sophomore came up with a game-high 23 points, scoring from all over the floor. The versatile forward can handle the ball and stretch the floor with his shooting. He’s a nightmare to handle in the pick n’ roll game with his ability to pop out and shoot or attack the basket. There’s little doubt Wieskamp will be one of the top prospects in the Midwest when his time comes. A super-skilled wing and a talented defender, there aren’t many weak spots in his game. Using his sweet stroke, Wieskamp went for 17 points, including four three-pointers in a loss to Howard Pulley. Graham had two big games to cap off the final day. With his team trailing against the Minnesota Swish, Graham made a couple of clutch plays in the final minutes in overtime, threading the needle with passes in traffic and timely shots to help his team advance. In the final game of the tournament, Graham came up with 20 points in a losing effort, but put his team on his back in the second half, chipping away at a large deficit. Green has about as good of a mid-range game as you’ll find. Scoring a game-high 18 points in a loss to Howard Pulley, Green was virtually unstoppable when the ball was in his hands. A crafty, quick lead guard, Green can stop on a dime and pull-up going full speed with ease. Ivory had a big game to help keep Kingdom Hoops around against Wisconsin Academy in the 17U quarterfinals. Ivory hit some big shots, including a couple three-pointers and contested finishes which briefly changed the momentum. Ivory has great handles and a quick trigger off the bounce that keeps the defense on its toes. 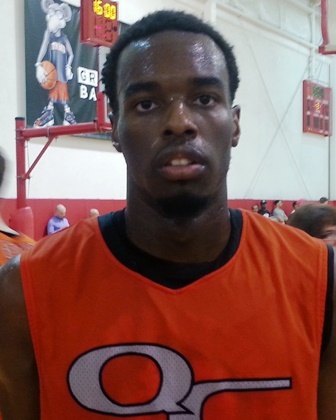 The Milwaukee Spartans were in real trouble in the 17U title game late in the second half. On the verge of defeat, Martin stepped up and bailed his team out with some big time three-pointers and transition baskets. Martin scored the majority of his points in the final minutes, lifting his team to the title. He’s still learning the game, but there’s a lot to like up the high-upside forward. A long, athletic prospect with a solid post game, Outuro started to come alive on championship Sunday. Oturo has a good feel around the rim and has little problems finishing one-on-one. Defensively, Oturo is a shot blocking presence in the paint as well. Pile ended his tournament on a high note in a loss to the Iowa Barnstormers. A skilled and powerful forward, Pile converted a number of tough shots around the rim. The 6-foot-6 sophomore likes to attack from the high post and use his strength to muscle shots home. Pile also has some surprising athleticism for his body type, able to throw down dunks in traffic. With most of the attention on Anderson and Hauser in the 17U semifinal, it was time for Schmitz to step up. And he did just that. 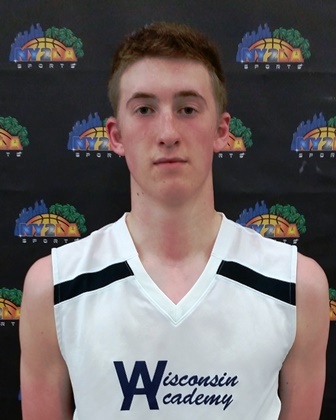 Schmitz had a huge second half and finished with 17 points to help lift Wisconsin Academy to the title game. Schmitz had the hot hand from beyond the arc, burying three triples and was also able to finish drives in traffic. Schmitz was also in double figures in the title game loss to the Milwaukee Spartans.